Dallas' The Sixth Floor museum will host "70 Years of Television: An Evening With Bobbie Wygant," Monday, April 22. Wygant, of course, has been with NBC 5 since the station went on the air in 1948. During the event, Wygant will share her insights and memories from her seven decades in broadcasting, including broadcasting live on Nov. 22, 1963 as news of the assassination of President John F. Kennedy broke. Below is more on the event from the museum, along with information about their series "55 Years." The second in a series of media-related public programs, "70 Years of Texas Television: An Evening with Bobbie Wygant" is being presented in conjunction with "55 Years," a temporary exhibit that showcases how the media portrayed President Kennedy on magazine covers from immediately after his death in 1963 through 2018. "This program is a continued exploration of the role the media plays in shaping and shifting public perceptions of American leaders. President Kennedy's ability to master the emerging media of television in the 1960s influenced the outcome of his election and the way he connected to, and communicated with, the American people," said Nicola Longford, chief executive officer. "Television was regarded as a relatively new media in the 1960s, yet Bobbie Wygant already had been working as a female broadcaster for more than a decade. Her legendary career spans the entire history of TV." Wygant joined Fort Worth-based WBAP-TV, the first television station west of the Mississippi, in 1948 two weeks before it went on the air. The first female in the southwest to be host/producer of a general-interest television interview program, she interviewed thousands of celebrities from Bette Davis to Charley Pride to Bradley Cooper. Her popular midday program "Dateline" was live on the air when President Kennedy was assassinated. Wygant is the author of "Talking to the Stars." Pre-signed books will be available for purchase at the program. 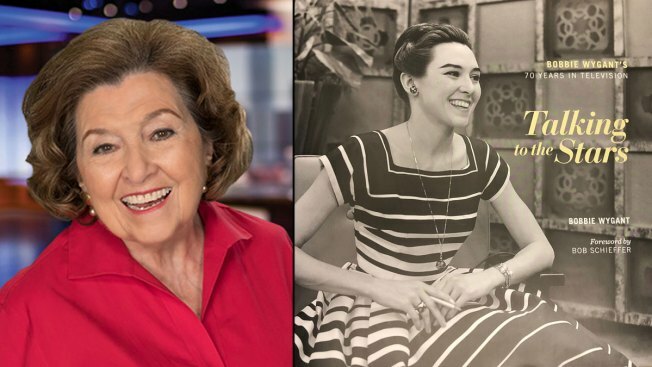 Tickets to "70 Years of Texas Television: An Evening with Bobbie Wygant" are $20 and include a reception, program, complimentary parking and a private viewing of the "55 Years" exhibit. The reception begins at 6 p.m., followed by the program at 7 p.m. Tickets are available at jfk.org.